A Playlist Revisited: Have a Very Nerdy New Year’s Eve! Two New Year’s Eves ago, I posted A Nerdy Playlist for New Year’s Eve. I thought it might be fun to tweak it a bit, in the spirit of out with the old, in with the new! You never know what the future holds, though — paranoia will likely endure! You want nostalgia? Here you go. I know, it’s set on Christmas Eve, but the sax supplies the requisite “Auld Lang Syne” at the end, so I still think it fits. If you roll VIP, you may want to check out this, the mother of all New Year’s Eve parties. If you’re like me, and it’s too rich for your blood, don’t despair — turn this on and waltz around your living room! Here’s the song I finished up with last year — I have a tradition of listening to it each January 1. Post-Holiday Blues + End-of-Decade Anxiety = Give Me a Funny Video NOW!! Happy Eve of New Year’s Eve, music nerds! Didn’t get quite what you wanted for Christmas? You’re not alone! Garfunkel and Oates: nerdy comic geniuses, n’est-ce pas? Look for more on them in an upcoming post! I don’t know about you, but I’ve been in a bit of a funk the past couple days; I suppose it’s part post-Christmas slump and part end-of-the-year anxiety. Where did 2009 go? How can it be 2010 already? OMGWTFBBQ!! It doesn’t help that the internets have been rife with both end-of-the-year and end-of-the-decade pronouncements. The general consensus seems to be that the aughties were a write-off, and that 2009 in particular was pretty dreadful. The Rude Pundit sums it up colorfully (in three parts), and I can’t find much to argue with there. But reality is, of course, always more complex than whatever the current conventional wisdom happens to be. And for me, personally, this decade had an upward trajectory, though it certainly wasn’t a straight line. It began with the loss of VirgoMom, in August 2000. You can’t fall out of the basement, right? 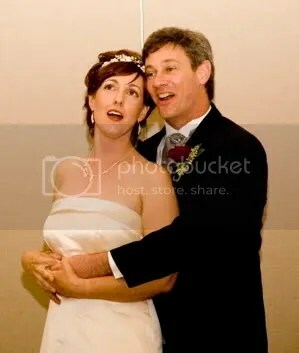 It continued with a variety of grad-school misadventures, halting experiments in making a living as a musician, and the quest — now a madcap comedy of errors thanks to hindsight — to find Mr. Miss Music Nerd. Of course, in the end, McDoc found me. I know it’s really, really annoying when people say that what you’re looking for will come along when you least expect it, but I have to admit, it’s true. Merry Eve of Christmas Eve, everybody! Tomorrow is a big day for me; I have not one, but two Christmas Eve church gigs! Since tomorrow will be all about the musically sublime, I thought it would be fun to devote tonight to the musically ridiculous! I think everyone has at least one: the song that inspires bone-chilling dread every year, as soon as the Halloween are cleared from store shelves to make way for the commodities of Christmas. The song that makes you breathe a sigh of relief when December 26 rolls around. I know I do! Herewith, Miss Music Nerd’s 5 Most Un-favorite Christmas songs! Only traditional, widely-known songs are eligible for this infamy, as Miss Music Nerd is not going to waste her beautiful mind keeping up with current pop mediocrity. That’s well-covered elsewhere. I’m not going to get into the topic of bad covers of songs that may or may not be good; we’d be here all night. The particular performance doubtlessly has an impact on one’s opinion of the song, though. ‘Jingle bell’ and ‘mistletoe’ are nouns that should not be verbed. That is all. A common complaint about Christmas is that it’s too centered on materialism; common complaint about Halloween is that costumes for women are needlessly floozy-ish. This song gives you both. I chose this one not because I actually dislike it all that much; in fact, I like the harmony of the chorus quite a bit. However, it commits the musical sin of having the text set such that the ac-CENT goes on the wrong syl-LA-ble. Three times! >:-( The offending syllables are in bold below. That fourth one’s a wobbler, but I don’t like it. Also, as a vegetarian, I can’t much warm to the idea of eating a pig’s head, though I appreciate the don’t-waste-anything ethic it represents. 😛 I’m fortunate to have a wealth of alternatives! A while back, I wrote about the wonderful world of misheard lyrics, a.k.a. Mondegreens, which come about when you can’t quite understand the words to a song, but your mind fills in familiar, if non-sensical, words and phrases, often with hilarious results. I think he’d look pretty good in a Santa hat! Good thing, because we all have egg nog breath! Joy to the World, the Lord has Gum! Besides, you’ll freeze out there! Oh, and which angel is Harold, anyway? 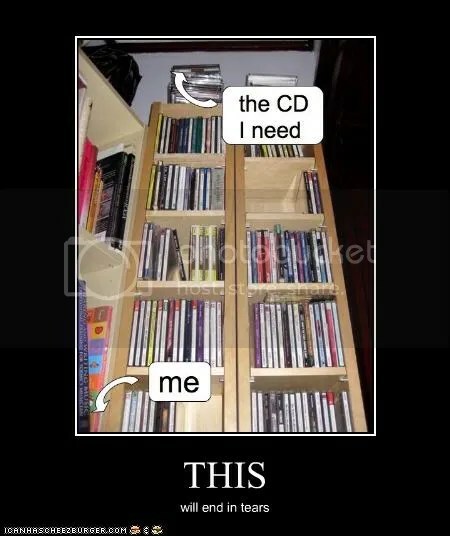 Your turn, music nerds — if you know of any I’ve missed, add them in comments! 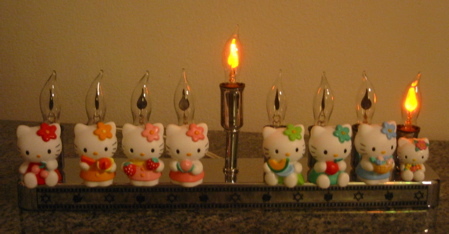 Urgent Hello Kitty Menorah Update! Just in time for the last night of Hanukkah! 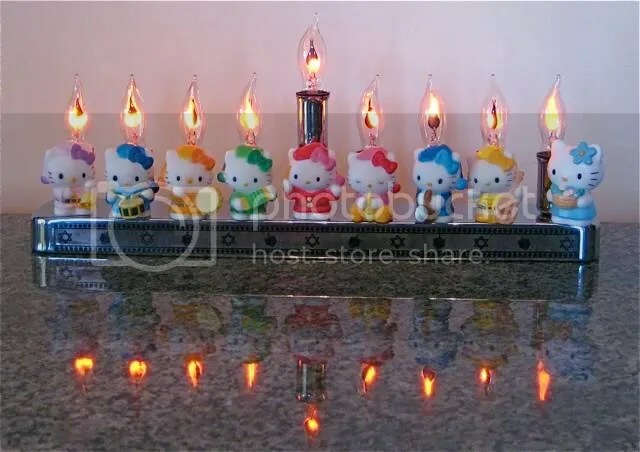 I was excited to find that my Hello Kitty Menorah made it onto a list of 5 Geeky Menorahs at Fandomania, a pop culture blog with a geeky bent. The nice blogger at Fandomania kindly updated with the new and improved version. This Ain’t Your Mama’s Musical Advent Calendar! 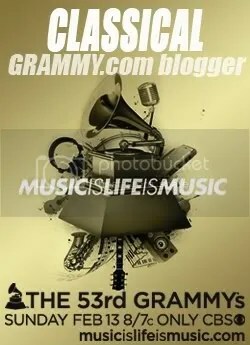 The holiday season without music? Why, that’s like a day without sunshine, or coffee, or kitty cats, or… fill in whatever you feel makes life worth living! Off I went to the Google, confident that I would find a musical advent calendar somewhere on this great, big internet. The Awesome Gravity of J.S. Bach! So there I was, minding my own business, looking for a particular recording, when gravity conspired against me, as it is wont to do!